Good news! 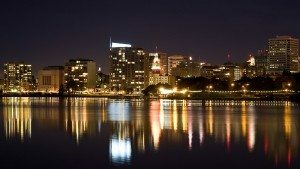 The City of Oakland just added a set of Bird Safety Measures to its building permit requirements – becoming the third major city in North America to adopt such standards. Golden Gate Audubon Society approached Oakland city planners and asked them to develop bird safety guidelines last winter. GGAS Conservation Project Manager Noreen Weeden provided advice on the details and language, as did Christine Sheppard of the American Bird Conservancy. The addition of the Bird Safety Measures is particularly timely since Oakland is anticipating some large new development projects along its waterfront – buildings that could pose a big collision threat to birds if not designed thoughtfully. “These measures will definitely have a positive impact on future development in Oakland,” Weeden said. Building collisions kill an estimated 300 million to 1 billion birds across the U.S. and Canada each year. Many of these deaths involve collisions with windows, since birds cannot see most glass. Nighttime lights worsen the problem by drawing birds off their migratory routes and into dense downtown areas with lots of glass walls and windows. The new Oakland measures apply to structures that have glass as part of their exterior, and that are next to large bodies of water, parks or green spaces. Avoid the use of mirrors in landscape design. Apply bird-friendly glazing to at least 90 percent of windows and glass between the ground and sixty feet above ground. Some positive glazing options include opaque glass, clear glass etched with patterns, and UV-pattern reflective glass (since unlike humans, most birds can see ultraviolet light). Turn out nighttime architectural lights and avoid beam lighting during spring and fall migration seasons. Install timers or motion sensors on interior lights, so they can be programmed to turn off between 11 p.m. and sunrise. Minimize roof antennas and other rooftop structures that create additional collision risks. Include bird safety in building management plans. For instance, building managers could ask employees to draw blinds at night during migration season and could schedule nightly maintenance before 11 p.m. to keep buildings dark at night. Oakland planners started drawing up the measures in January. They looked at models such as San Francisco’s Bird-Safe Buildings ordinance, the state of California’s voluntary Bird-Friendly Building Design guidelines, and federal legislation (HR 2078) that is currently being sponsored by Rep. Mike Quigley (D-IL). 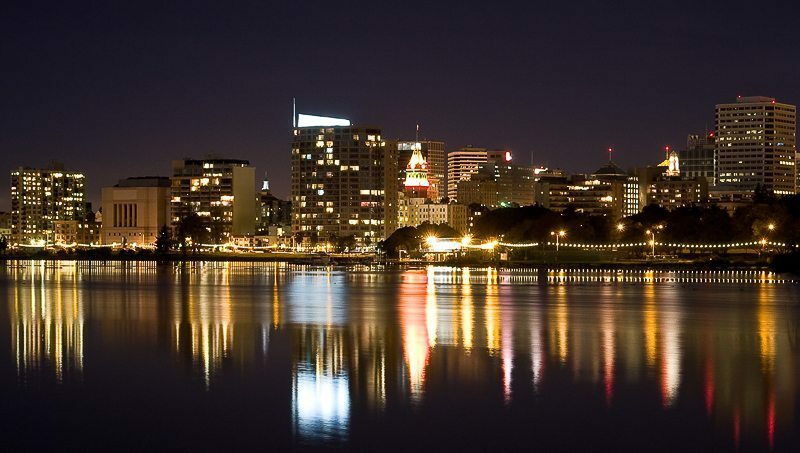 But they took steps to tailor the measures to Oakland, adding references to local geography such as Lake Merritt and the Oakland Estuary. They also couched the policies in direct, easy-to-understand language. “The measures are succinct and very easy for building owners, developers or even residents to understand,” Weeden said. Earlier this spring, Gov. Jerry Brown announced plans for a China-based investor to build 3,100 housing units, 200,000 square feet of retail and commercial space, and 30 acres of parks on 65 acres of industrial waterfront property next to Jack London Square. This project will now have to meet the Bird Safety Measures. The only other major North American cities with bird-friendly building requirements are Toronto and San Francisco, according to the American Bird Conservancy. San Francisco passed its standards in 2011, with active support from Golden Gate Audubon. Bird-safe building standards have been a major focus of GGAS’ conservation staff over the past several years. Now we’re delighted that both Oakland and San Francisco are national leaders on this emerging issue.